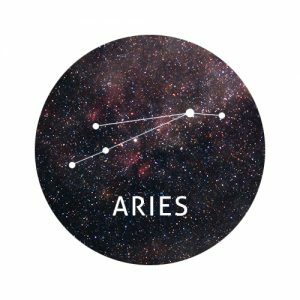 You’re refusing to play second best, Aries, and you won’t put up with any nonsense. Whether someone at work is taking advantage or an ex has returned into your life with less than honest intentions, you know exactly what you’re worth and won’t let people mess you around. Good on you, Aries. If you’re single, you might be looking for someone to sweep you off your feet. It doesn’t matter if you’re male or female, you want someone to ‘woo’ you and remind you just how amazing true romance can be. Coupled up? You may feel like it’s time to reignite the flame in your relationship. Don’t get complacent. Go the extra mile and pretend you’ve only just met! 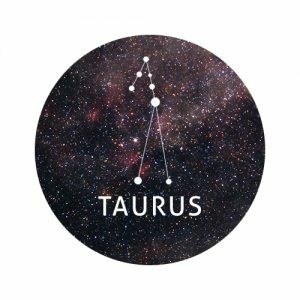 If you’re craving change, home renovations could be the way forward this week, Taurus. Could it be time to decorate the spare room once and for all? If you’d rather a less permanent approach, some bright new soft furnishings could do the trick and give your home the burst of energy it needs. Make functionality a priority, Taurus, and try to declutter as much as you can. The sooner you get rid of the excess from your life, the sooner you can clear your mind and focus on the finer things. 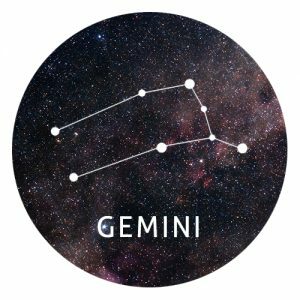 This weekend could see you losing your temper with someone, Gemini. Maybe you’re getting tired of their preachy rants or you’re fed up of their judgemental comments. No matter what it is, try to keep your cool and step away rather than bursting out and saying things you may later regret. You may have built yourself a reputation as a bit of a complainer recently. 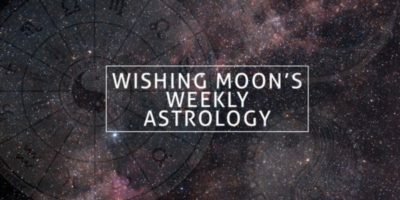 There’s nothing wrong with speaking your mind when it’s justified or constructive, but it could be worth balancing the negative with the bad this week. By spreading positivity and praising those you admire rather than scorning those you dislike, you’ll boost everyone’s mood and restore faith in you. Are you suffering from a creativity or energy slump? No matter how hard you try, you just can’t seem to focus on work. Whether you keep getting distracted by social media, you can’t put a good book down, or your eyes are glued to the TV in the break room, force yourself to get back to work. Focusing your attention in the right direction can be challenging but we have faith in you. You have the willpower to do this, Cancer! If this has been a long term problem, maybe it’s time to address the deeper issues. Are you happy in your job? Is a personal problem distracting you? Are you eating well and exercising? By figuring out what’s standing in the way, you can improve your concentration and get more done. A somewhat heroic week could lie ahead, Leo. We’re not suggesting you’ll save cats from trees or rescue an old lady from the path of a speeding car, but your kindness will shine through and your week will be scattered with good deeds. Standing up for someone in their time of need could really pay off. They’ll appreciate you putting your neck on the line and having their back. You may even make a new friend and open up exciting opportunities for the road ahead. Are you feeling abandoned, Virgo? Whether a relationship is drawing to an end, you’ve lost someone close to you, or your friends are moving away, you may have been feeling a pang of loneliness recently. Get out the house and keep busy. Get used to doing things alone such as going to the cinema, visiting art galleries, and even going to concerts. Say hello to people and don’t be afraid to chat to those around you. Take up a new hobby such as Spinning, Karate or jewellery making. Join online forums devoted to your best interests and start chatting to likeminded individuals. By keeping your mind occupied and getting out there, you’ll remind yourself how big and full of great people the world really is. Woah! If you’re not careful, this week social media could take its toll on you. The internet is a fantastic and somewhat essential tool but if we overdo it, we can left feeling anxious, depressed, and discontent with our lives. Step away from the computer screen and remind yourself there’s a great big world out there for you to explore with your own eyes. If you attend a big life event at the weekend, keep your phone firmly in your pocket. Sure, it’s nice to catch a few snaps of the bride and groom but there’s nothing better than seeing and appreciating the experience without technology getting in your way. Creative Scorpions may be wondering when they’ll get their big break. Whether you’re a budding artist, musician or actor don’t give up on your dream. Try to find a balance between following your passion and having a ‘back up plan’. Success, fame or wealth won’t happen overnight and until you land the leading role, you’ll need something to keep you going. When you’re not pursuing your passion, are you staying productive? With your head in the clouds, time could pass you by. You never know, the route you take to keep busy may ignite brand new interests and exciting roads you never dreamed imaginable. Has someone close to you made an embarrassing mistake? If so, you might be concerned their blunder makes you look bad. You might be annoyed but deep down you know their error wasn’t deliberate. If they’ve apologised, try not to make them feel worse than they already do. It’s time to move on. In the grand scheme of things, this is unlikely to be something you look back on negatively in the future. 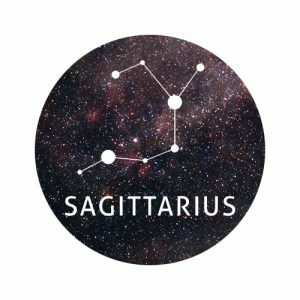 Be supportive to those around you in the coming days, Sagittarius. A close friend or relative might be about to take a huge leap in their life. You might not agree with their decisions, but try to set any differences aside and help them if you can. 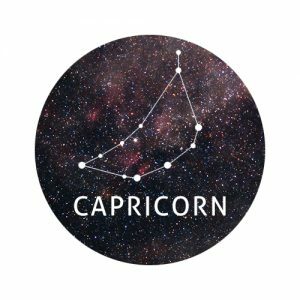 Your inner flirt might make an appearance this week, Capricorn, particularly if you’re single. If you’re coupled up and your partner is reading this with you, they needn’t worry about infidelity. After all, although you’re oozing charisma and charming everyone you meet, you’re fiercely loyal when in love and unlikely to stray. You’re super influential this week so it’s time to use your ability to lead to your advantage. Stand tall, project your voice and have confidence in everything you say. Not only could you use your power to progress your own career and ambitions, you could help to raise awareness of worthy causes or help a friend get to where they want to be in life. Why aren’t they listening to you? That could be the number one question on your mind this week, Aquarius, as you try to encourage change and improve the way things are. Although you may not agree with your opposition, try to see both sides of the argument. After all, our opinions play a huge role in our individuality and without them, we wouldn’t be very unique. Rather than trying to change the minds of others, focus on leading the way. Do what you do best and the wisest of those around you might just follow suit. Drag your bike out the garden shed and dig the juicer out the cupboard – it’s time to immerse yourself in the world of wellness. We’re not saying you should give up on life’s little luxuries, but try to improve the balance of healthiness in your life. An energetic new hobby such as Zumba or tennis could lift your mind, body and spirit. It could also help you make new friends and – if you’re single – meet a potential love interest. Don’t worry too much about your appearance when you’re sweating it out in the gym. The right person for you will admire your healthy glow and dedication to your workout. What Is Your Star Sign’s Superpower?